Xiao Lin Ling, is the pupil of the legendary master, Rooster Shifu. Her training begins everyday at sunrise, whoa! An embodiment of broken pride, The Lamp Seller brought light and magic to the tribe of Hares through mysterious means. Based on a concept by Carlyn Lim. Artstation Civilizations Challenge 2017: Honorable Mention. Aya the Gun Witch! My Cubebrush ArtWar Entry for team fantasy. Fan art of Garona Halforcen from Warcraft. Envisioned her as a fighting game character in Fighters of the Storm, a parody arcade game inside Overwatch's Hanamura stage. A handpainted character for my mentorship at Unicorn Bum with Yekaterina Bourykina! 1024 x 1024 Textures. Diffuse only, no light. Scroll down for process. Concept by Kyoung Hwan Kim "Tahra"
Done as part of the Polycount Monthly Character Challenge in May. Really had a great time learning from the process. Learned a lot from the feedback given by the community. Special thanks to Charlene "Catell-Ruz" Le Scanff for lending her concept art! The evil Sombro. Leader of the Mandrill Tribe. Character work for Insomniac Games. Responsible for sculpting, modelling and texturing. © 2016 Insomniac Games, Inc.
Priestess of the Cult of Bones, Kaula! Kaa, Priest of the Monkey Tribe. Doyle is a thriving shopkeeper in the jungles of Feral Rites. This is my Retrogasm art competition entry, featuring Hades from Persona 2: Innocent Sin. 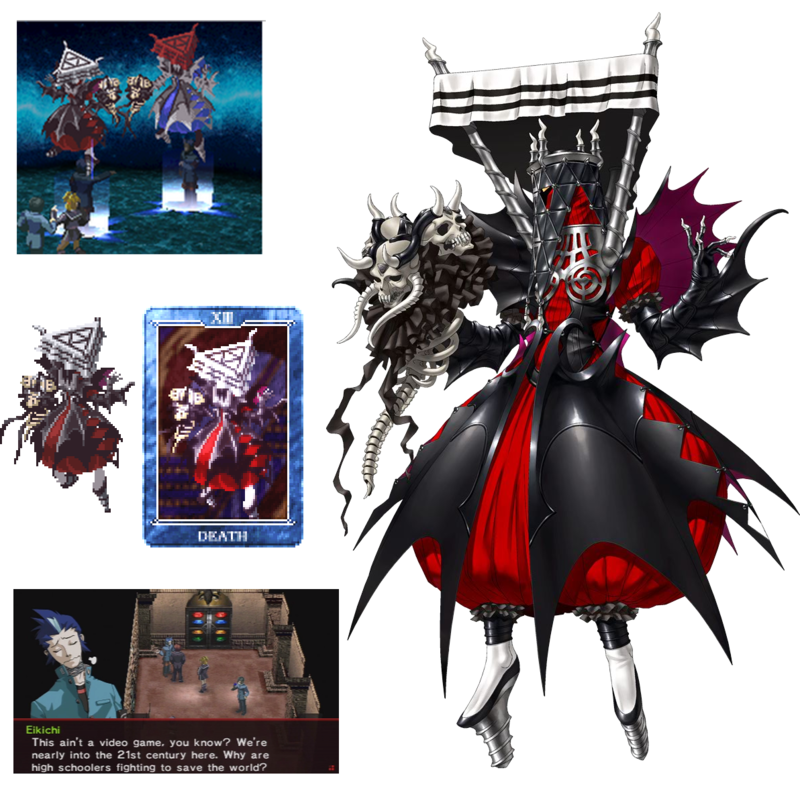 I stuck close to Kazuma Kaneko's original design as best as I could while transferring the character's retro pixel art to present day game art. Based on a fan concept by Nikonov Aleksandr. All other aspects done by me. Featured on Sketchfab's flyers during SIGGRAPH 2015. Sketchfab Art Spotlight, November 2015.